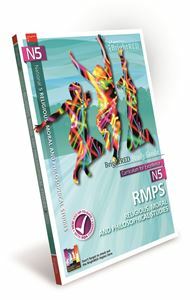 The SQA National Qualifications in Religious, Moral and Philosophical Studies (RMPS) look at world religions and their relevance and reach in modern society. The courses will allow students to ask and answers moral, religious and philosophical questions. Learners will be able to look at all religious points of view, independent of their religious belief. BrightRED Study Guides for National 5 and CfE Higher RMPS will provide excellent course coverage with dedicated online support from the BrightRED Digital Zone. The ONLY Study Guide available for the National 5 RMPS course. Up-to-date with the latest SQA course and exam changes. Full course coverage of world religions, moral issues and philosophical questions.